VW is adding more power to the seventh generation Golf R by increasing the power output to 228kW from 213kW. In the four decades since first launching in South Africa, over 350 000 Golfs have been sold in the country. 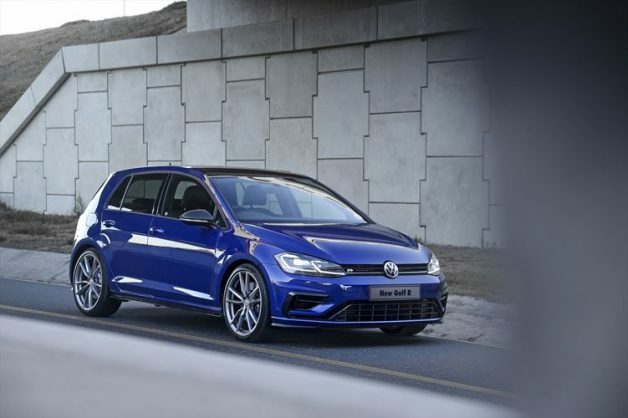 Since the launch of the seventh generation Golf model range in 2013 the Golf GTI, Golf GTD and Golf R models have made up more than 45% of all Golf sales in South Africa. The seventh generation Golf R continues to be a benchmark for driver assistance systems in the compact class, employing technologies that significantly improve safety. These include the optional Blind Spot Monitor with Rear Traffic Alert as well as Adaptive Cruise Control with Front Assist and Autonomous Emergency Braking System. New exterior design highlights include the optional R Performance Titanium exhaust as well as optional R Performance brakes with brake calipers painted black with the ‘R’ logo. Standard features include the ‘R’ designed bumpers, LED headlights and LED taillights that create a design that gives the Golf R a dynamic look. The tailpipes are placed further out to the sides giving the car a wider appearance. The exterior mirror housing caps come in Matte Chrome or optionally in Carbon. There are also various 19-inch wheel choices – the standard being the “Spielberg” 19-inch alloy wheels or the optional 19-inch “Pretoria” alloy wheels in grey metallic. Standard on the Golf R is the Active Info Display, panoramic sunroof and drive profile selection which includes the Sport Human Machine Interface (HMI) feature. Adaptive chassis control in an optional extra and offers the same feature – Sport HMI. In the Sport profile, the ‘Sport HMI’ of the infotainment system on the centre console shows current engine parameters such as power output and G-forces in play. The Golf R rockets to 100 km/h in a swift 4.6 seconds thanks to 228kW of power and 400Nm of torque. This gain in dynamics is attributable to an extremely fast-shifting 7-speed DSG and the standard Launch Control feature as well as the overall high engine output. The Golf R comes standard with a 5 year/90 000km Service Plan, 3 year/120 000km warranty and a 12-year anti-corrosion warranty.